Damon has demonstrated a lot of knowledge, wisdom and patience with us as we considered a home on Lake Martin. He was always responsive, thorough and a pleasure to deal with. I would highly recommend Damon as a realtor. I listed my house in Windermere with Damon. He sold it in about ten days. We wanted a condo in StillWaters, across the lake and Damon provided an ideal unit within another ten days. Working with Damon was pleasant and productive. Each phase, listing/sales, negotiations, contracts, and closing were all well handled. We were extremely pleased with Damon’s professionalism and helpfulness. His follow-up and handling of personal needs were much appreciated. Damon helped my wife and children find just the right lake home for our family. He was a pleasure to work with and always available as they worked their way thru the viewing process looking for the right home in their price range. Knowledgeable, friendly, always available to fit their schedule. I can highly recommend Damon to help in any and every property anyone might have in the Lake Martin area. We have really enjoyed working with Damon. We did not know Damon at all but he invited us to his home first thing. We met him there along with his precious wife and sat down and wrote a contract on his wonderful screen porch. I feel like we will be friends for a long long time and will call on Damon in the future for his experience and expertise. Damon was very patient with us since we were not familiar with properties around Lake Martin. He spent the time to show a broad range of homes and help guide us on how to consider value based on trade-offs such as waterfront versus home size. I will definitely use him if I make a future purchase on Lake Martin. We had a great experience working with Damon. He was very responsive and kept us informed the entire way. 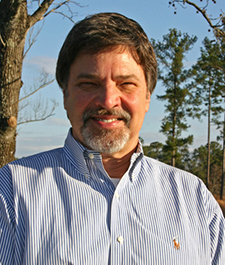 The fact that he sold the property in less than a month is attributed to his professionalism as well as his knowledge of the Lake Martin area. He not only helped us sell this property but he also found us a new home that had all the amenities that we were looking for. Damon knows the market well and also knew what would work for us, the fact that he was able to negotiate a lower price was just icing on the cake. His professionalism and attention to detail let u s know that we were in good hands. If we ever sell and buy again he will be our agent! Damon was very responsive & worked in an expedient fashion. Very smooth & enjoyable process. Would definitely use Damon again. I loved working with Damon! He was so available and knows the market at the lake. I didn’t know him when we started the process but now I definitely consider him a close and trustworthy friend!